Description : Try finding! One of These! 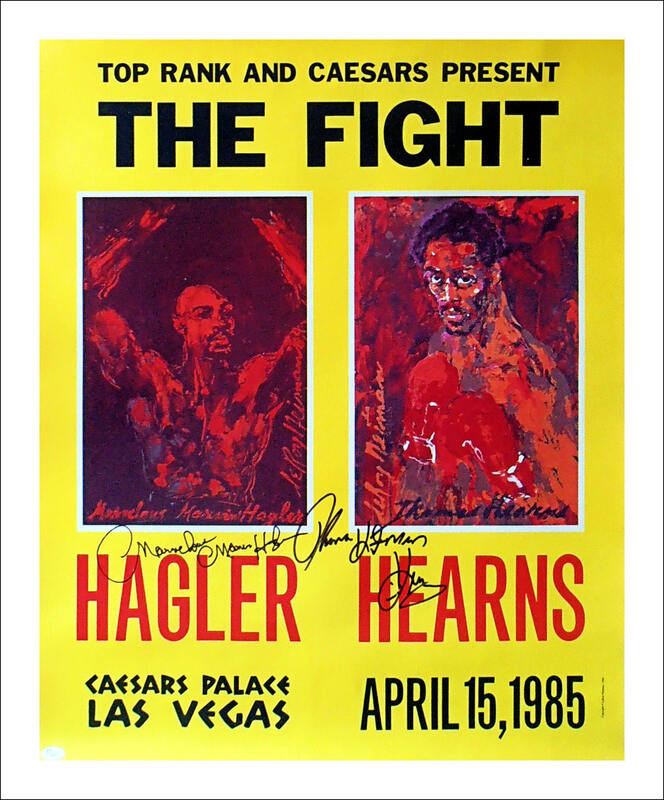 Marvin Hagler & Thomas "Hitman" Hearns dual signed Leroy Neiman copyright canvas image of the official poster commissioned by Caesars Palace for the greatest short fight in history & probably the most violent 1st round in Middleweight History! 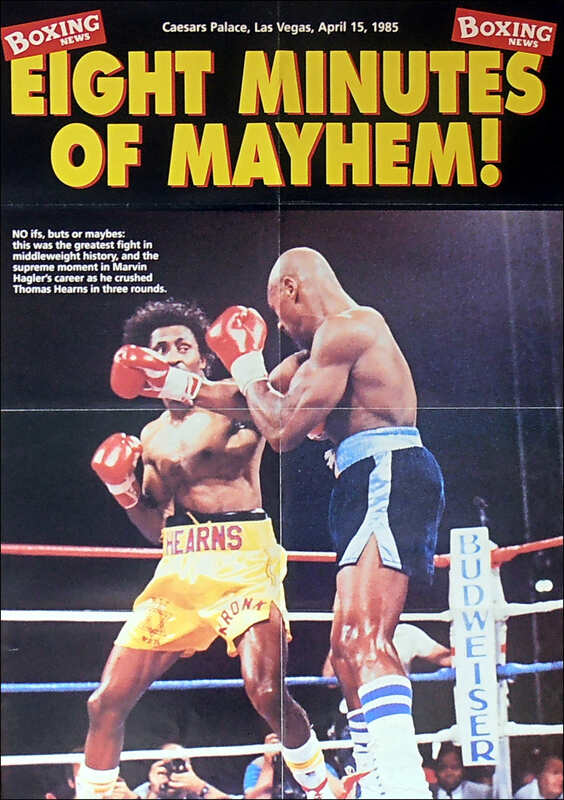 When on APRIL 15TH 1985 we witnessed 8 minutes of absolute mayhem at Caesars Palace Las Vegas between reigning "Undisputed Middleweight Champion" Marvelous Marvin Hagler & WBC Lt/Middleweight champion Thomas "Hitman" Hearns. "The Marvelous One" gunned down the Hitman in 3 brutal rounds. I watched this live by satellite link at 5am at Portsmouth Guildhall along with 3,000 other frenzied fight fans, a night/morning burnt into my soul! 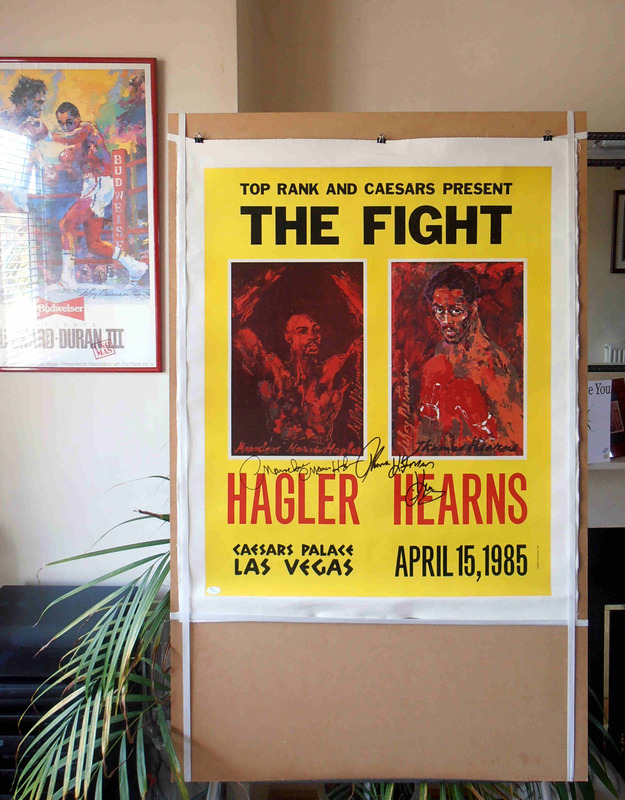 This original Leroy Neiman poster canvas represented here has been signed by Marvin Hagler & Thomas Hearns, and comes with a James Spence Authenticaton cert + KOfightposters LOA lifetime guarantee. Postage: 10.00 Special Delivery... 20.00 International.